Have you just discovered that you’re going to be a dad for the first time, and you don’t know what to do first? You’re not alone! Many first-, second-, or third-time fathers have found themselves wondering what goes on inside their pregnant partner’s body, what causes those crazy cravings and emotions, and whether labor really hurts that bad (hint: yes, it does hurt that bad!). 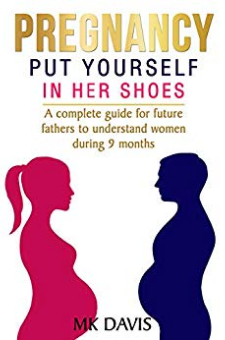 They find themselves wishing they knew how to be sympathetic to their partners’ needs and help them have as smooth of a pregnancy, labor, and delivery as possible. However, they cannot read their partner’s minds, and they’re not sure how they can be supportive or helpful. If this description sounds like your experience, this eBook is for you!Inside, you’ll discover:?A summary of pregnancy side effects during each trimester and how you can help ease her discomfort?How to take an active role in preparing your home for your little one?Special ways that you can let your partner know that you support and love her unconditionally?How to be her fiercest advocate throughout the labor and delivery process. ?Helpful checklists for everything – from supplies you need for the baby to what you should bring to the hospital?How to prepare your mindset for fatherhood?And so much more!